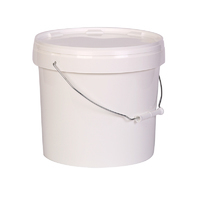 White polypropylene round pail with steel handle. 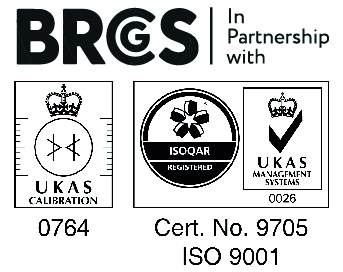 Used for the packaging and storage of a wide range of liquid, paste and granular products. Suitable for contact with food. 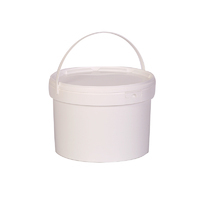 White polypropylene round pail with a plastic handle. Used for the packaging and storage of a wide range of liquid, paste and granular products, suitable for food use. 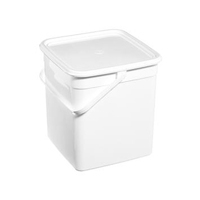 White polypropylene rectangular pail with plastic handle. Used for the packaging and storage of a wide range of liquid, paste and granular products, suitable for food use.